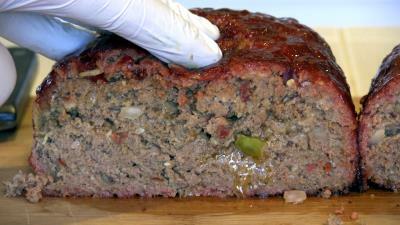 This is one super moist and savory meatloaf and to date, my Signature meatloaf recipe. 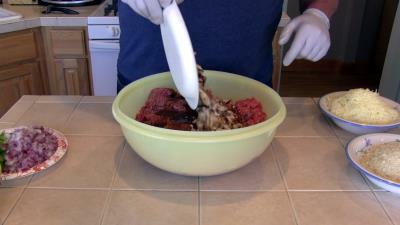 Place 6 lbs of 80/20 ground beef into a large mixing bowl. Do not use anything less then 80/20 ground beef. 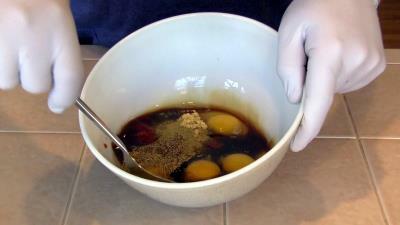 In a medium mixing bowl combine 4 eggs, 1 cup Worcestershire, 1 tsp Rosemary, 1 tsp Thyme, 2 tsp dry mustard, 1 tsp coarse ground black pepper and 1 cup no salt Ketchup. Mix this thoroughly. Next pour the mixture over the meat. Add 1 chopped red onion, 1 chopped green bell pepper, 4 oz. chopped mushrooms, 5 oz. chopped sun dried tomatoes, 6 cloves garlic and 3 cups shredded Parmesan cheese. Using latex food grade cloves on your hands, mix it up a bit. Now add the 2 cups Panko bread crumbs. Thoroughly mix the everything together. 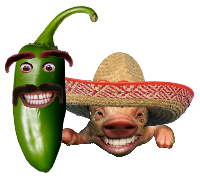 You want to work the spices and flavor deep into the meat. Once mixed, let stand in the fridge for an hour. 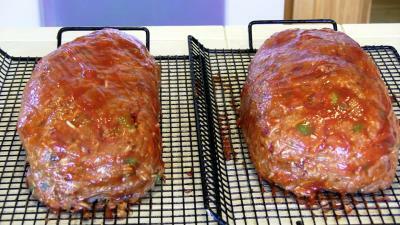 After the neat has rested, remove from fridge and form the meat into to two meatloaf's of equal size. Once you have formed the meatloaf's turn them over and rub Ketchup on the bottom. Turn the meatloaf back over and do the same to the top and sides. Let stand for 30 minutes. 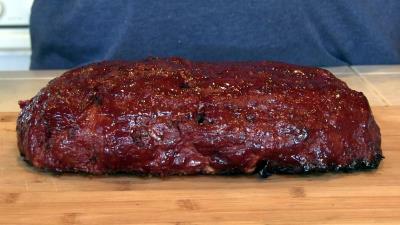 Place the meatloaf's near the center of your smoker. 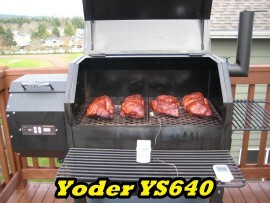 The smoker should be pre-heated to 245 degrees. Cook the meatloaf until it reaches 145 degrees. At this time mop on a liberal amount of Ketchup and continue cooking until the internal temperature reaches 165 degrees. 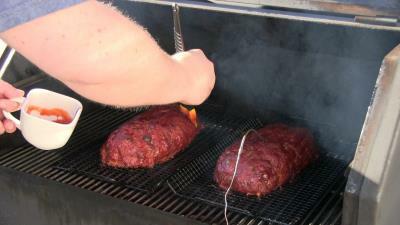 Pull the meatloaf when the internal temperature reaches 165 degrees. Let stand 15 minutes and then slice. Be careful to slice only what you eat. This will keep the rest of the meat that gets refrigerated stay nice and moist.